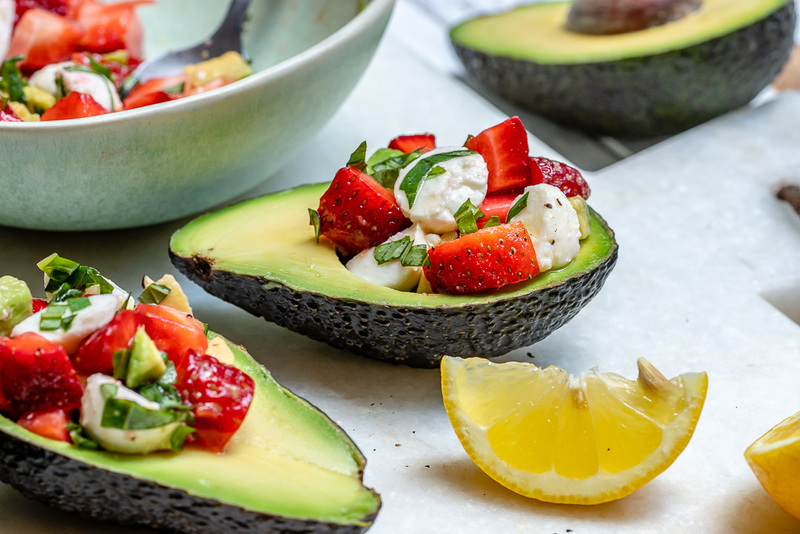 Strawberry Mozzarella Avocado Boats are PERFECT for Entertaining! 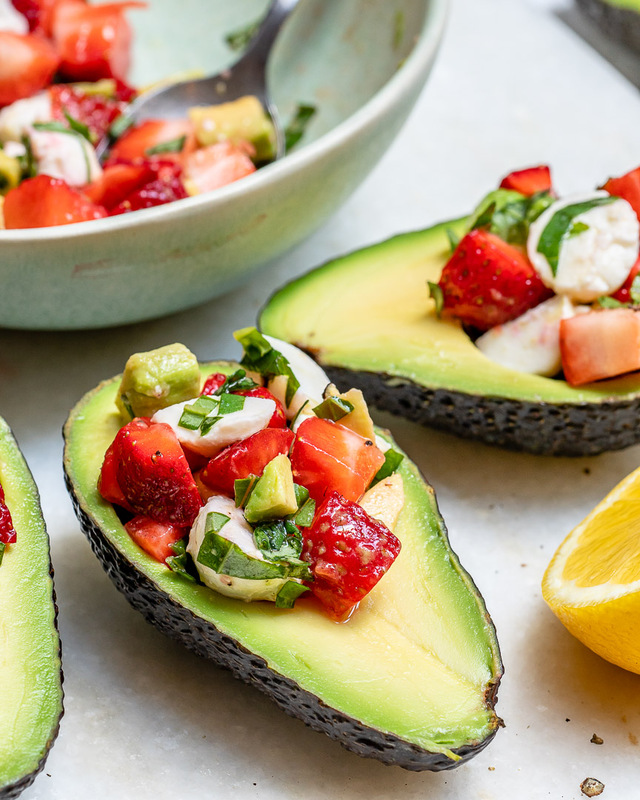 🥑🍓A SUPER SIMPLE and delicious idea to celebrate Strawberry Season! 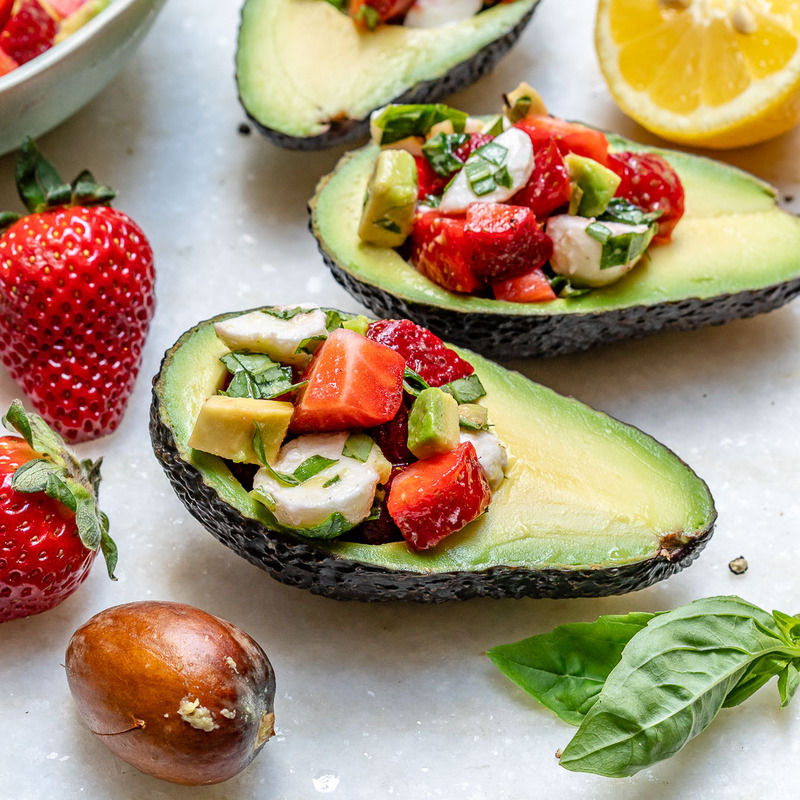 This avocado/strawberry combination is surprisingly tasty! 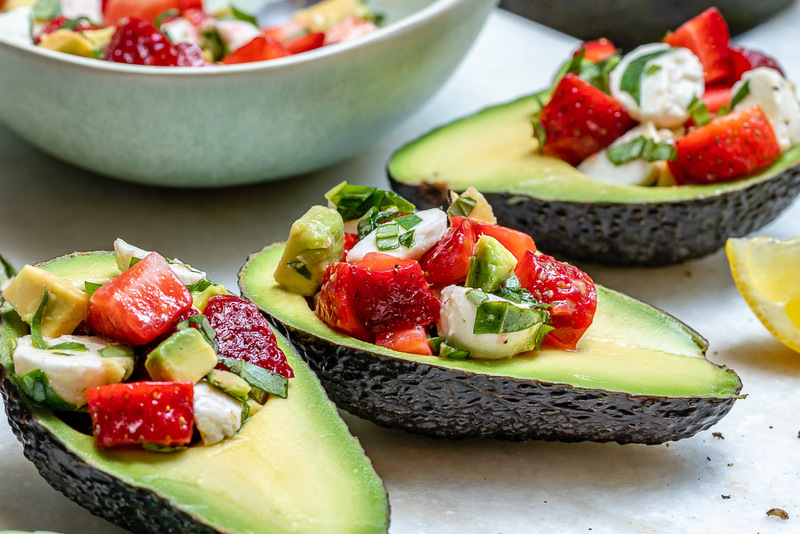 I think these beautiful little avocado boats would be a really fun idea to make a bunch to set out buffet-style for your spring & summer parties, baby showers, bridal showers, BBQs, etc. 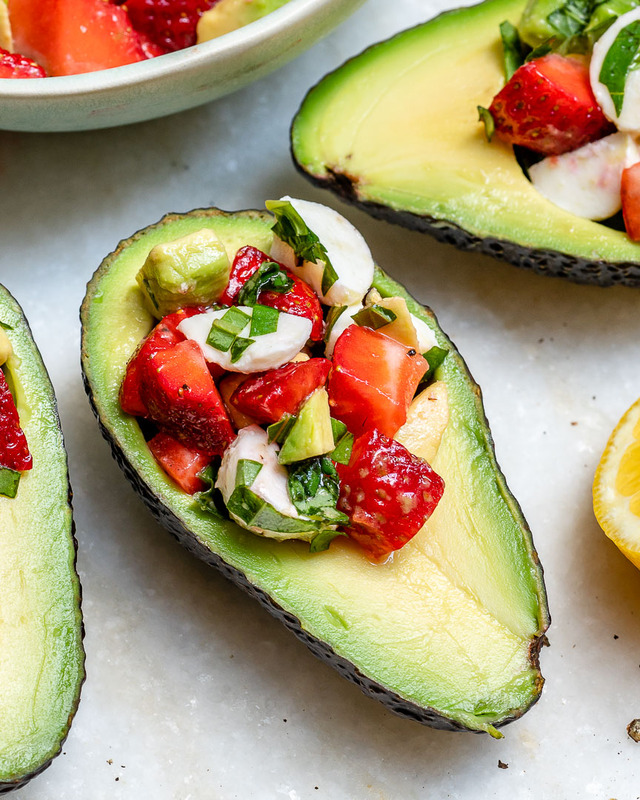 Cut your avocados in half and remove the pit. With a spoon, scoop some of the insides to create a deeper pocket for all of your goodies. 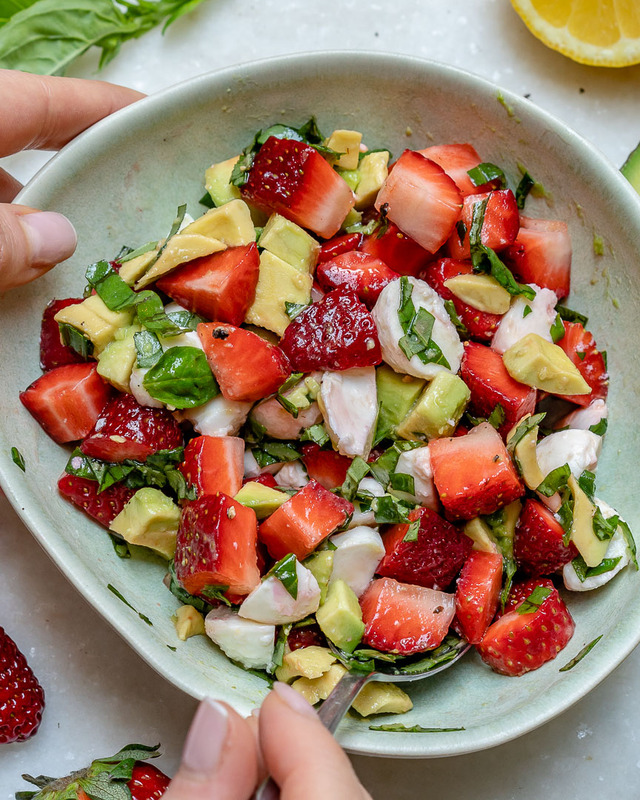 Chop the scooped avocado flesh and place it in a bowl together with the chopped strawberries, mozzarella, fresh basil, olive oil, and lemon juice. Season with a pinch of salt and gently toss. 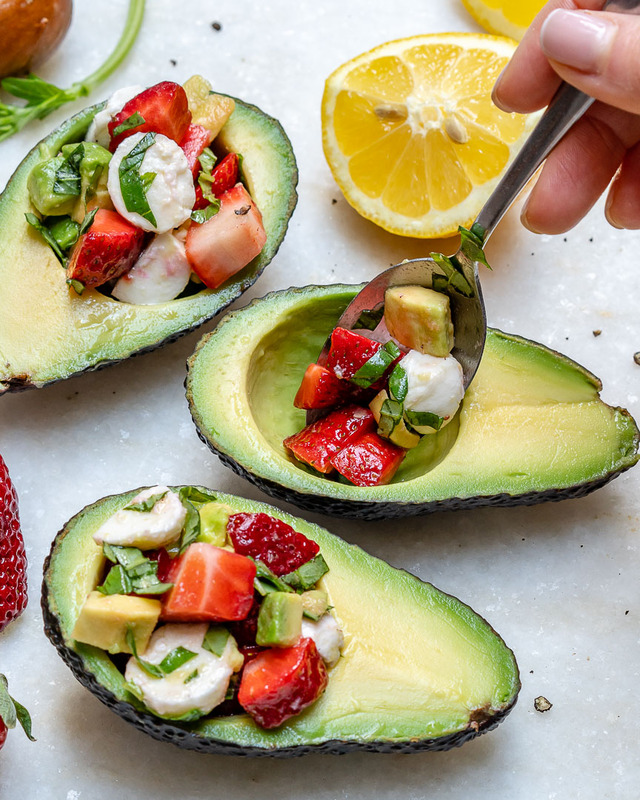 Gently scoop the strawberry mixture inside the avocados as shown, and sprinkle with fresh ground black pepper. Serve immediately and enjoy! Cut your avocados in half and remove the pit. With a spoon, scoop some of the inside to create a deeper pocket for all of your goodies. 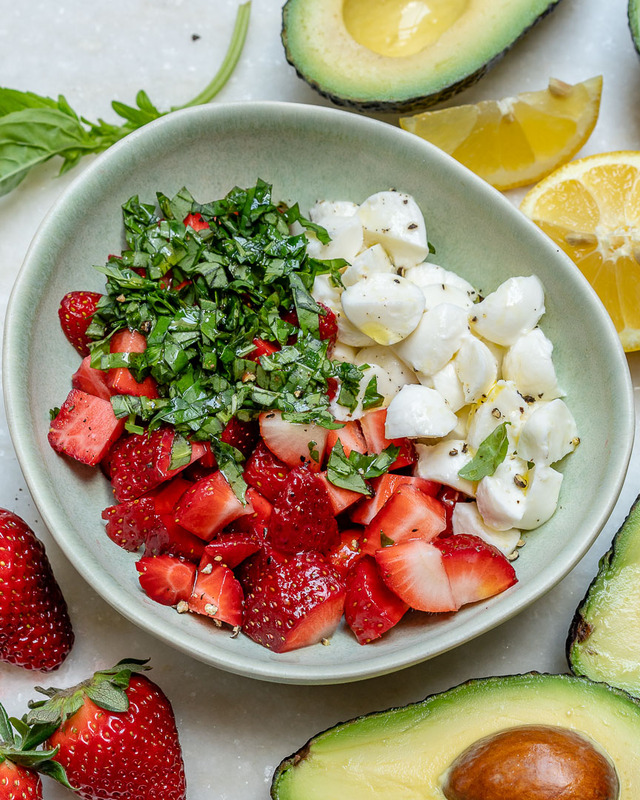 Chop the scooped avocado flesh and place it in a bowl together with the chopped strawberries, mozzarella, fresh basil, olive oil and lemon juice. Season with a pinch of salt and gently toss. 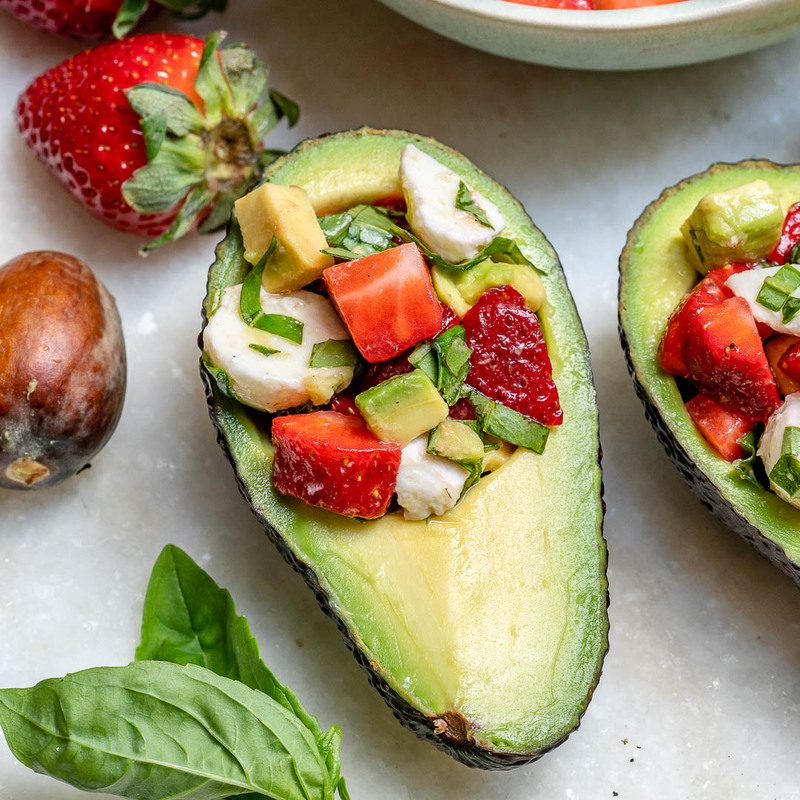 Gently scoop the strawberry mixture inside the avocados as shown, and sprinkle with fresh ground black pepper.